We finally had a handful of ripe tomatoes that I harvested before the bugs got at them. Our entire purpose in growing cucumbers was to make pickles. My boyfriend loves pickles! We buy them by the gallon. He also raves about how a particular restaurant (that is no longer open) would bring out a tray of homemade pickles for the table to snack on while waiting for their meal. Our cucumber vine started off doing well. I watered it everyday and checked on the little blooms. At one point, there were bunches of little yellow flowers budding all along the vine. Over the next couple days, I watched as little cucumbers began to sprout where those flowers were. Then, to my dismay, they all dried up. Since that time, the vine has produced one or two cucumbers at a time. With 4 lovely cucumbers lined up on our counter, it was decided that we had enough to make our first batch of pickles. I wanted to make sweet pickles and my boyfriend wanted spicy pickles. We compromised a bit and added a bit of sugar to his recipe. He also didn’t include the seeds from the jalapeno. Since we like garlic, we also doubled the amount and added a couple of cloves to each jar. The process was fairly simple, especially since we made refrigerator pickles and avoided the canning process. The only disadvantage to this is the shelf life is much shorter (only about 3 months) and we have to store it in the fridge. Since we were only making a small batch, that won’t be a problem. The hardest part of the entire process was waiting the 3 days for the pickles to pickle. Wash cucumbers and slice lengthwise into 1/4 inch slices. Arrange cucumbers in 1 quart jar and 1 pint jar (or 3 pint jars). Divide jalapeno, garlic, dill, peppercorns and coriander between jars. In a medium saucepan, bring vinegars, water and salt to a boil, stirring to dissolve most of the salt. Divide brine among jars, almost to the top (no worry about leaving headspace here, these are refrigerator pickles. Fill ‘er up!). Screw on jar lids. Leave jars on kitchen counter for at least 3 days. After that, refrigerate. They can be eaten after the three-day mark but the flavour will continue to develop so you can certainly leave them longer in the fridge before eating. Sorry to leave you hanging on Monday. I started writing and the story went a completely different direction than I had anticipated. I’m here now to show you the dress. After a bit of deliberation and consultation with a couple of friends, I settled on view B. It has the tie neck, which makes it a bit easier when completing so you don’t have to mess with getting just the right positioning for buttons. I’m a bit lazy like that. I had debated with making skirt D because it looked poofy, but decided in the end to add the crinoline lining the pattern suggested. This pattern provided two new learning experiences for me. First, it called for boning along the back. After making the pattern, I think it could be left out. It was much simpler to work with than anticipated. The pattern called for the plastic featherweight boning, that merely provides support to the garment; no figure contorting going on with this dress. Placing the boning in the garment was a matter of sewing a small casing in the seams of the lining. It was maybe a couple extra minutes of work. The second new experience was that of making a crinoline lining. I don’t really know if that is the proper term, but it’s the best way to describe what it looks like. The dress itself has a twirly skirt. The ones little girls love to spin around and make swirl around them. On its own, the skirt hangs off the bodice without much body, unless you are spinning. Adding the lining provides body without the need to make yourself dizzy. In this case, I used posh lining and gathered tulle in two layers to add the body. Other than an additional layer of tulle to the lining and having the tulle show along the hem, I didn’t make alterations to the pattern. I did top-stitch along the entire length of the bodice. A garment just isn’t finished without top-stitching. There are no photos of me in this dress because it’s currently too small. I plan on being able to wear it for my birthday. The Shopaholic series by Sophie Kinsella is one of my guilty pleasures. They are the ultimate in chick-lit reading. The heroine in the series, Becky Brandon (née Bloomwood) is addicted to shopping. In this latest installment, Becky is now the proud mother of a two-year-old daughter. Only, motherhood isn’t all shopping and roses as Becky anticipated. As per usual, Becky manages to find herself in all sorts of desperate situations including being thrown out of Harvey Nicks, getting fired from work, and posing as an art curator. I enjoyed my indulgence into chick-lit as I always do when reading a book by Sophie Kinsella. It is a great beach read. I realised that in the last few months, I have not been sharing any of my sewing projects. They are still going on, just at a much slower pace than normal. I’m chalking it up to summer. My head likes to go on summer vacation from June through August. I have never quite gotten out of school year mode. My current 64 projects are taking much longer to complete. I have also been spending quite a bit of my time working on products for Splendid Play. This is a joint venture with my friend Kristen, and she keeps me hopping with projects. I thought I would take the opportunity to share our newest project that will be hitting our shop this week. We are introducing superhero capes for kids. I am excited at how well they turned out. I finished up the first set as an order for a customer and am delighted at how amazing they are. In addition to the capes, Kristen has created masks and greaves (those arm bands superheros wear). The cape is made from Baroque Satin fabric. This includes the lightening bolt. All of the pieces are reversible as well. As you can see, this set is red and blue with yellow lightning bolts. I am working on a couple more design options before we offer them in the shop. Both of these photos were taken with an iPhone 4 through binoculars. Well, the binoculars you find at tourists places that you pay a quarter to view through for a few minutes. I took the top photo through binoculars. My boyfriend took this one through a telescope. I think his turned out better than mine did. Saturday evening we dined at Dixie Crossroads in Titusville, FL. They specialize in rock shrimp. Rock shrimp look like little lobster tails. To prepare rock lobster, they are split then broiled, fried, or steamed. We chose broiled. What a delicious decision that was. We consumed 4 dozen in no time and had we not also had an appetizer of broiled oysters (also amazing) and sides of cheese grits, vegetables, and house salad, we each would have loved to dine on more. I’m debating on trying to talk my boyfriend into going back tomorrow. When I was younger, my gramma and I would write letters to each other. It was the highlight of my week to receive that one piece of mail that was addressed to me. I would eagerly read her letter, gobbling up all the news and forming the answers to the questions she posed in her letter to me. Then I would pull out my packet of stationary, teddy bears in the sky with a big white cloud in the middle for my pen to write, and I would sit down and write. Using my very best hand writing, I would answer her questions, tell her my news, and ask questions of my own. I’m not certain when this tradition ended. I remember the occasional letter sent while I was in high school, but never in the quantity we sent when I was 9 or 10. I’m certain I found myself too busy to take five or 10 minutes to write a quick note to her and besides, my mum told her all about my life. I recently started writing letters to my gramma again. Once a month, I take the time to write out what my boyfriend and I have been doing. I tell her about strawberry picking, my garden, sewing and baking projects, and our little adventures. She also gets a handful of photos illustrating the letter. It’s a small gesture, but it makes her day. I started writing her letters for a handful of reasons. She lives in Arizona and I live in Florida. It’s a lot harder to visit now that she’s no longer a few hours away. Second, she has no idea how to use a computer. I can’t send an email or tell her to check my website. She’s 90 I can’t hold that against her. She much prefers a handwritten letter with pictures to an email any day. Who wouldn’t? In this day and age where everyone is connected by multiple social networks, email, blogs, and mobile phones, it’s easy to forget about those whose lives aren’t connected by the internet. Take some time to write a few letters with a pen and paper. Maybe, if you thing about it, include some of those millions of photos you take on that digital camera. You’ve found me once again going against my tendency to shy away from the latest sensation in reading. One of my dearest friends raved about the book during a phone conversation so I decided to give it a go. This also meant wrangling the nook color away from my boyfriend (more about that in a future post). The most important thing to remember when reading The Book Thief is that Death is telling the story. He is telling it from memory and from the information provided by Liesel in a book she wrote at the age of 13. This gives the story a bit of a disjointed feel that takes some getting used to. It took me a good portion of the book to get sucked into the story line and have the characters come to life. Despite numerous warnings from Death, the ending was gut-wrenching. I highly recommend keeping a box of tissues on hand, you’ll need them. Even with the intense setting of the war, the author does a wonderful job of weaving in just enough laughter to keep the entire story from being depressing. I love receiving mail. It doesn’t even matter if it’s something I bought or a gift. I just like receiving packages. Recently lots of packages have been showing up with my name on them. I thought I would share a few of them with you. First up are the prizes from the Sew, Mama, Sew! giveaway that they hosted a couple of months ago. The giveaway included about 300 different blogs offering prizes. I must have signed up for about a hundred. I was delighted to hear I had won two different prizes. The first came from Bird and Bicycle. It’s a great sewing blog. Of the three prizes she was giving out, I won a wonderful little bag made from fabric with bicycles (pictured above). It’s now sitting in my bike basket waiting for me to take it for a spin. I was excited to receive the bag in the mail and even more excited to discover that she had filled the pouch with little surprises! There were a couple of fat quarters, embroidery floss, and magnetic purse clasps (which I have been wanting to give a try). Thanks MaLora for the wonderful giveaway! The second prize I won came from Craft-A-Little. As part of her giveaway, she was asking for suggestions on how to decorate her new baby’s bedroom. I linked her to this idea: Embroidered Growth Chart from The Student/Teacher. I really want to make that project, but don’t have a reason to just yet. From her I won a pile of Dr. Suess fabric and an applique pattern pack (not pictured). I’m excited about the fabric and will be using it soon for a few projects. Thanks Rebecca for the wonderful giveaway! I’ve also been ordering a few bits and bobs for projects that I have brewing. We have already debuted the battery bandolier. That is my first purchase along with labels for my etsy shop. We found some wonderful design your own twill labels from inkedpapers. They are working out wonderfully. The large spool of black elastic is from Vogue Fabric Store. I was surprised to see how small 36 yards of 3/4 inch elastic appeared. Finally, I have discovered Pick Your Plum a wonderful site that offers one product for 24 hours. 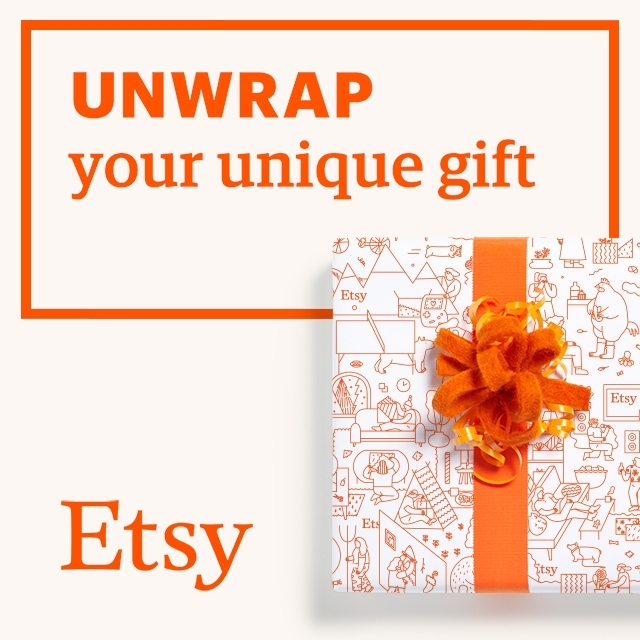 The products are craft related and discounted. There has been a wide range of products including knobs, ribbon, buttons, wooden blocks, and vinyl clings. I wait in anticipation for the email notification every morning. I have a few exciting plans for these items as well. Note: I was not asked or paid to advertise for any of the above web Sites or blogs. I simply wanted to share some of my new goodies.